Discover What is New and Exciting in Orlando, so you can have the Best Orlando Vacation, Ever! It's Spring Cleaning time and we decide to put the Limited Edition Disney Princess Pin Set up for sale. 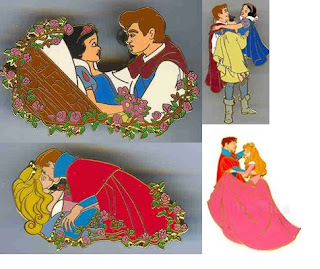 This is a beautiful WDW Pin Set that includes 2 Snow White pins and 2 Sleeping Beauty pins and is part of the Awakening Pin Set which was available during a pin event in September 2003. The auction end Sunday night after 8 so if you are interested in pins check it out. If you enjoy Disney Pins then check out other Disney Pin Auctions .